Denver Beer Fest kicks off at City O' City with 10 days of beer. 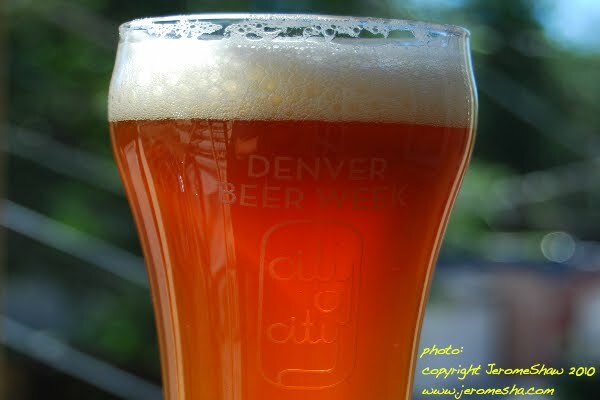 City O' City has special punch card for sale that entitles the purchaser to a Denver Beer Week T-shirt, a City O' City 10-ounce beer glass, and twenty 10-ounce pours of their draft beer at 2 per day during Denver Beer Fest September 10-19, 2010. You do the math there is some free beer in there for sure. City O' City is a hipster chic coffeehouse/bar on 13th Avenue and Sherman Street that offers a unique menu including thin crust vegetarian and vegan pizzas. They also have some of the city's best bake goods from the next door Watercourse bakery.